Meeting someone for the first time is a very exciting and daunting experience. You want to make the best possible impression but sometimes nerves can get the better of you. There’s nothing more painful on a first date than the conversation drying up. If this happens it can be hard to recover and you won’t get to know each other very well. But don’t worry! To help you, here are some of my dating expert tips and techniques to ensure you never run out of things to say. This is probably the most important thing that you need to consider. It’s tempting to ask closed questions such as “Are you having a good week?” but this can lead to short yes or no answers. It’s much better to ask something deeper that will lead to a discussion. When they reply, you can expand upon their comments with your own. It’s a great idea to try and keep up to date with the latest news and celebrity gossip. If you aren’t then have a read of the paper that morning or buy a couple of magazines. Don’t pay too much attention to anything too serious but choose some light topics that you might be able to discuss. Reality TV is usually a popular choice as it doesn’t matter if they like or loathe a particular show. Either way they should have an opinion to share! Your goal on a date is to get to each other, not launch a full blown interrogation. So don’t bring out a long list of questions or ask them too many right away. It’s a discussion between the two of you so give it a chance to flow. It goes without saying that you shouldn’t ask them about their past relationship or political affiliations either. Instead, stick to softer subjects that won’t cause either of you any stress. I’d advise you to talk about your surroundings or your life experiences. Hopefully you will have lots more time and dates together to cover the more serious issues. Sometimes you’ll find that things go quiet, but this doesn’t automatically mean you need to panic. Silences happen naturally to everyone and you don’t need to fill each one. Use the time to gaze into their eyes or smile at them. This will reassure them that you are interested and will work to increase your rapport. If this does happen a few too many times, then it’s okay to laugh about it. Bring their attention to something completely random such as a menu or comment on the bar staff. A shared joke can make the most nervous person so much more relaxed. Everyone has their own interests and ambitions, so this is something you can talk about. Once you find the topic a person is passionate about, they will soon open up and come out of their shell. In fact you’ll notice that their body language can change. They will smile more, uncross their arms and their energy will suddenly increase. When this happens your job is to encourage them as much as possible. Show an interested and try your best to find some common ground. People like people who are like them! 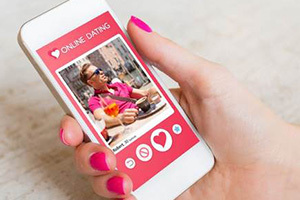 If you want to have great dates then you need to make sure you start with a great online dating website. Take a look at our reviews here so you pick the best one for you! James Preece is the Dating Guru. As the UK's leading Dating Expert and Dating Coach he is a consultant for many dating sites and is involved in a wide variety of different areas, such as personal dating coaching, Online Dating, speed dating and matchmaking. His online dating guide "I Will Make You Click" is an Amazon best seller, reaching number one on the relationships category. He is a regularly featured in top UK and international media: such as the Independent, Cosmopolitan, FHM, and Men’s Health, amongst many more. Learn more here.